There are three forester species in the UK, and they are all pretty similar. 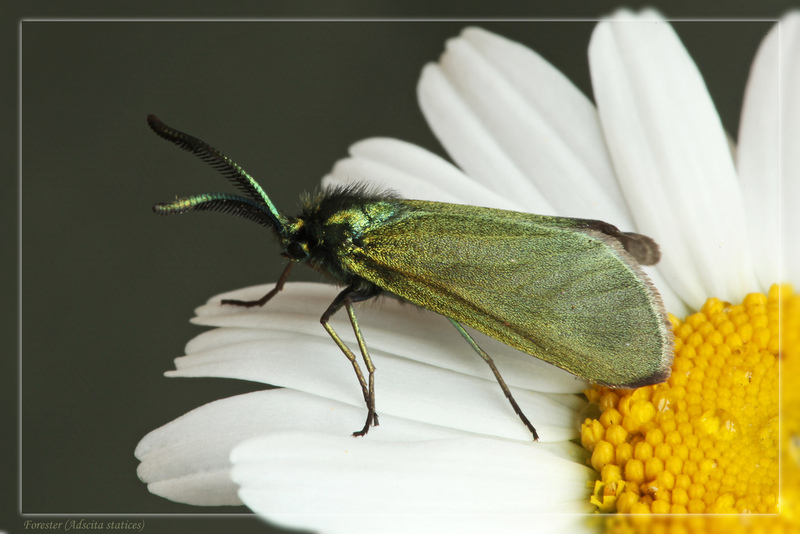 It is possible to separate the Forester and Scarce Forester on the shape of the antennae, but also check the habitat to see what larval food plants are available. Cistus Forester caterpillars feed on common Rock-rose, Scarce Forester on Common and Greater Knapweed, Forester on Common and Sheep Sorrel. Common Sorrell and Sheep Sorrel.